Nvidia launches Geforce GTX 1070 Ti GTX 1070 Ti: the effort?steemCreated with Sketch. Nvidia's GeForce GTX 1070 gets a titanium variant. Is the card useful or does it fall into a gap between the normal GTX 1070 and GTX 1080? Between the Nvidia Geforce GTX 1070 and GTX 1080 you'll find AMD RX Vega 56. If you are looking for a graphics card to play on a WQHD screen, the three gpu's are a good choice. The GTX 1070 offers "good enough" for less than 450 Euros, the GTX 1080 offers "mild overkill" for less than 550 Euros and AMD's giants perform somewhere in between, in terms of price and framerate. The fact that AMD's Vega card is faced with major availability problems and that it is hard to find somewhere else, and that it actually consumes more energy than its competitors in terms of performance, does not justify Nvidia's decision not to issue a direct competitor. This was the last new year in the GTX 10 family: the Nvidia Geforce GTX 1070 Ti. We couldn't take the map ourselves yet, but early reviews of Arstechnica, PC Gamer, Guru3D, WCCFtech and TrustedReviews, among others, give us a very good idea of the capacities of the new gpu. The newly launched Nvidia GeForce GTX 1070 Ti has 8GB of GDDR5 memory on board, which is slightly slower than the GDDR5X in GTX 1080. The number of Cuda scores has increased from 1,920 to 2,432 in comparison with the GTX 1070, which is still slightly less than the 2,560 GTX 1080. The base clock of the latter is at 1,607 MHz the same as that of the GTX 1070 Ti, while the boost clock of the new offspring is identical to that of the normal GTX 1070:1,683 MHz. Memory memory, interface and bandwidth are also identical: 8 Gbps, 265 bit and 256 GBps respectively. You can also see the GTX 1070 Ti as the child of a GTX 1070 and GTX 1080. Performance is very much in line with what the specifications suggest: the map is about ten percent faster than GTX 1070 but ten percent slower than GTX 1080. Unfortunately, the price is in the middle as well: the official recommended price amounts to 469 euros, but you can be sure that retailers will again ask for a small premium, so that you will lose around 500 euros to this gpu. 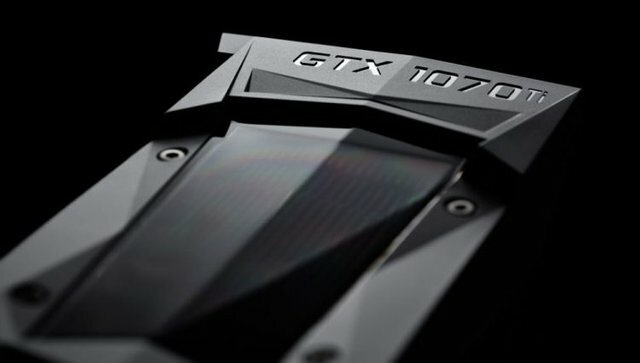 The fact that Nvidia does not take the opportunity to reduce the price of its giants, especially the ordinary GTX 1070, is a missed opportunity for users. Everything thus indicates that the GTX 1070 Ti is doing what it needs to do, and at a fair price compared to both the competition and the rest of the Nvidia portfolio. However, there is no answer to one question: why would you buy this card? Nvidia closes a hole here that there is none. The ordinary GTX 1070 is powerful enough to support WQHD gaming with your fingers in the nose. If you can't get the framerate to drop below 60 fps even in the toughest games, you should watch the GTX 1080. What are you with a card of which both performance and price are somewhere in between? Nvidia likes the card to surpass AMD's Vega offerings, but the AMD card embodies a significantly more logical position within the AMD lineup. We see Geforce GTX 1070 Ti mainly as a map of Nvidia, for Nvidia. With the Christmas season in the run-up and the Vega benchmark scores in mind, we understand why Nvidia launches this gpu, where at first glance the map sinks away in the non-existent hole that Nvidia is trying to close here. The GTX 1070 Ti is bad, according to the initial results, not at all, but nor is it fascinating. 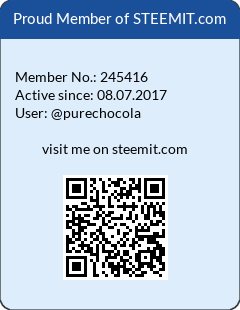 Welcome to Steem Community @purechocola! As a gentle reminder, please keep your master password safe. The best practise is to use your private posting key to login to Steemit when posting; and the private active key for wallet related transactions. You may like this nice Card. Use it in any way you want: This version is a completly free gift for you. Save it at your Computer or Smartphone. Some clever Steemians print it for takeaway. The QR-Code leads directly to your blog.